The Chicco Bravo LE standard stroller did not score high enough overall in our tests to be a real contender for a car seat and stroller combination. While the stroller is made to work with the Keyfit infant car seats, the attachment is a little harder because the canopy blocks the attachment, giving it the feel of being an afterthought, not a thoughtful design. The Bravo has a large storage bin, a good size canopy, and other storage options, but none were that impressive during testing, and we would have gladly sacrificed some of them for a stroller that was easier to push. The CHicco Bravo LE Combo only works with Chicco brand infant car seats. The Chicco (kee-ko) company, part of the Artsana Group and one of the largest baby brands in Europe, offers a variety of baby-centric products including items for strolling, car travel, food preparation and more. Chicco was founded by Enrico Catelli and their products are sold all over the world in more than 120 countries. Chicco designs gear for children in the womb up to preschool ages. The following chart shows the overall score for the Chicco Bravo (in blue) as it compares to the competition we tested. The sections below provide information on how the Bravo's performance compared in each metric. The Keyfit 30 car seat attaches to the Bravo stroller frame in a similar attachment it uses on the car seat base. 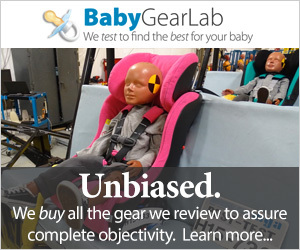 While the Bravo earned a 6 of 10 for ease of car seat attachment and is slightly above average for the group, it was not that impressive for a product that should work great with its native seat. The Bravo is compatible with the Chicco Keyfit and the Chicco Keyfit 30 infant car seat. The Chicco Keyfit 30 is the only carrier we tested with the Bravo. You can install the Keyfit 30 on the Bravo frame with or without the canopy attached. The Keyfit 30 can installs on the frame of the Bravo without the seat and canopy attached as shown on the Chicco Website, or it can be installed using the seat and canopy attached as described in the Bravo user manual. We tested it with the seat and canopy in place. However, this method is slightly more complicated because the canopy creates a barrier in the attachment process. To ensure a connection is tight and secure we had to juggle the carrier under and up to push the canopy edge out of the way. The foot of the car seat will get in the way of the canopy with each attachment, and removing the seat and canopy will prevent this and make it weigh less overall. But, if you remove the canopy and seat you will only have the car seat canopy for protection from the elements. So in short, with the canopy and seat attached you will have extra coverage for baby, without the canopy and seat you will be able to install the carrier without obstructions. You will need to apply pressure to the carrier to ensure a full attachment with both methods, and we suggest giving the carrier handle a good tug to check the connection. The photos above show the Bravo with the canopy removed from the frame (above left) and the canopy still attached to the frame to work in conjunction with the car seat canopy (above right). The Bravo is 23.9 pounds and 11,250 cubic inches. The Bravo earned a 5 of 10 for weight and folded size and is neither light nor small. We think this metric is important as new mothers may be unable to lift more than a certain weight. The Chicco Bravo weighs 23.9 lbs, making it the second heaviest stroller in the group. The lightest option is closer to 10 lbs for the Baby Trend Snap-N-Go EX, and the lightest full-size stroller (like the Bravo) is about 15 lbs for the UPPAbaby Cruz Combo. The folded Bravo is the fourth largest stroller in the group at 11,250 cubic inches. This larger size makes it tougher to transport, lift, carry, or fit in a trunk. The smallest folded full-size option is the Britax B-Agile 3 Combo that measures at about 6,658 cubic inches; even the UPPAbaby Cruz is less than the Bravo with a folded size of 7,860 cubic inches. No matter which type of stroller you are looking for, standard or frame, there is a smaller and lighter option than the Bravo. The plastic wheels on the Chicco Bravo LE are partly to blame for the difficulty we had pushing it. The Bravo earned a 3 of 10 for maneuverability, which is the lowest score in the group and a disappointment given that it ranked lower than frame strollers that aren't built for maneuvering. This stroller's hard to push and turn even on flat surfaces. It manages smaller spaces okay thanks to its size, but it is slow going and won't be a quick mover should you need to get out of someone's way. It requires pushing with two hands, so you won't have a free hand to answer your phone or take a sip of water while strolling. It struggled more on rougher terrain and didn't turn well in grass and gravel. It wouldn't go over most bumps or the grate in our course. The flex in the frame makes it a bad choice for curbs because you have limited control on the descent. The wheels on this product are foam filled plastic. On the bright side, they won't become misshapen or dented like plastic air filled options, but they are still plastic which doesn't maneuver as nicely as rubber and isn't comfortable for passengers moving over rougher terrain. It does have four wheel shocks which might help negate some of the sting from the hard plastic wheels. The handlebar on the Chicco adjusts by rotating on side pivot points up and down. The adjustable handlebar on this product has a range of 36-44 inches from the ground, and the smaller foam covered bar isn't as comfortable as most of the competition. No matter where we positioned the handlebar, some of our taller testers continually kicked the back of the stroller while walking. The Bravo has a large storage bin, but only 10 pounds of maximum storage allowance. This Chicco earned a 7 of 10 for ease of use. This score is the highest ease of use score in this review. Folding the Bravo is very easy. It requires one hand, has two steps and it self-stands.This stroller doesn't have a locking mechanism but it has a carry handle. The handlebar will get worn and dirty using the self-stand as it relies on the handlebar to stabilize it. It can roll when folded similar to rolling luggage. Unfolding is just as easy, but it will require two hands. The unfolding process is a little awkward at first, but after a few tries, it gets easier. The brakes on the Chicco are easy to set, but more difficult to release. The brakes on the Bravo are double action, which means you have to depress the brake pedal on both sides for the brakes to be set. We aren't big fans of double action brakes as we worry parents may potentially set one and skip the other. They are easy to apply and only about average to release, but they are sandal foot friendly. During our testing, the cogs of the brake were able to skip across the wheel without fully engaging. We thought the brakes engaged because we heard the click and felt the pedal shift down, but they weren't, and the stroller started rolling with little effort, which is a safety concern and something parents should be aware of. The canopy on the Bravo is fairly large and works well with the Keyfit 30 car seat. However, it does cause somewhat of an obstruction when installing the seat increasing the difficulty of attachment. The canopy on the Bravo is large and rated at 50+UPF. It has extra ventilation and a small mesh peek-a-boo window. The Bravo has a big storage bin that was able to fit our extra-large diaper bag easily. It has easy access from the rear which decreases when the toddler seat is reclined for use with the infant carrier. The maximum allowable weight for the storage bin is 10 pounds, which comes in average for the group. The zippered pocket on the Bravo parent console is so small it holds almost nothing. The Bravo also has a parent console with two shallow cup holders and a zippered pocket. This area has a weight limit of 3 lbs, but the cup holders aren't the best at holding cups (though smaller bottles and sippy cups worked well) and the zippered pocket is only large enough for lip gloss with no space large enough for keys or a phone. The child's tray on the Bravo is nice touch not all of the strollers have. This Chicco comes with a child's tray in addition to the parent console, and it offers 2 cup holders and a depressed are in the middle good for snacks. The tray is essential to car seat installation, so it isn't good for much when the carrier is attached to the seat. The Bravo is harder to set up than much of the competition. The Bravo earned a 5 of 10 for ease of setup thanks to a time of 9 minutes and 45 seconds and an instruction manual that is only average. While this product doesn't have a lot of pieces to assemble, the illustrations and descriptions are so simplistic they are difficult to understand. The rear wheels require the use of a washer that is tough to add and the manual doesn't offer instructions on how to assemble the canopy, leaving you to guess. The pictures in the manual show the canopy already attached, but it did not come that way in the box we received. The Bravo scored below average in our tests for quality. The Bravo earned an unimpressive 5 of 10 for quality which is below average. This stroller has a nice clean looking frame with considerable flex when pushed with weight inside. Ours seemed easy to scratch and ding and after just a few days of testing had a significant scratch on one side. The storage bin is comprised of a thinner material with strips of mesh running down each side. The canopy is a sturdy canvas material with a loosely woven mesh we couldn't snag. All of the fabric fits the frame fairly well without creating a rumpled or tight appearance. The design and the materials used in the construction of the wheels are also unimpressive, with old style bushings and press on hubcap. They just don't have the feel of something that is going to last for very long. The peek-a-boo window on the Bravo canopy is on the small side. We were disappointed with the overall fit and finish of this product, as they are relatively cheap and unimpressive. With flimsy feeling fabric, flexing frame, and plastic wheels, it didn't offer much that stood out in comparison to the other full-size options in this review. The Chicco Keyfit Caddy — a dedicated frame stroller that is designed to work with Chicco Keyfit car seats. This product scored well in our review, and it has a list price of $100 making it affordable for most families. While it will only work until baby outgrows their infant car seat, we think most parents will like what it offers for the price, and it will buy them time to decide what their stroller needs are so they can make a more informed decision for their main stroller.